SREB’s annual Making Schools Work Conference, formerly known as the HSTW Staff Development Conference, draws more than 4,000 teachers, principals, district leaders and educational experts to address current issues K-12 education and best practices being implemented in schools across the nation. These newsletters can help strengthen your efforts to provide every student with the opportunity to succeed in the middle grades, high school, postsecondary studies and career. 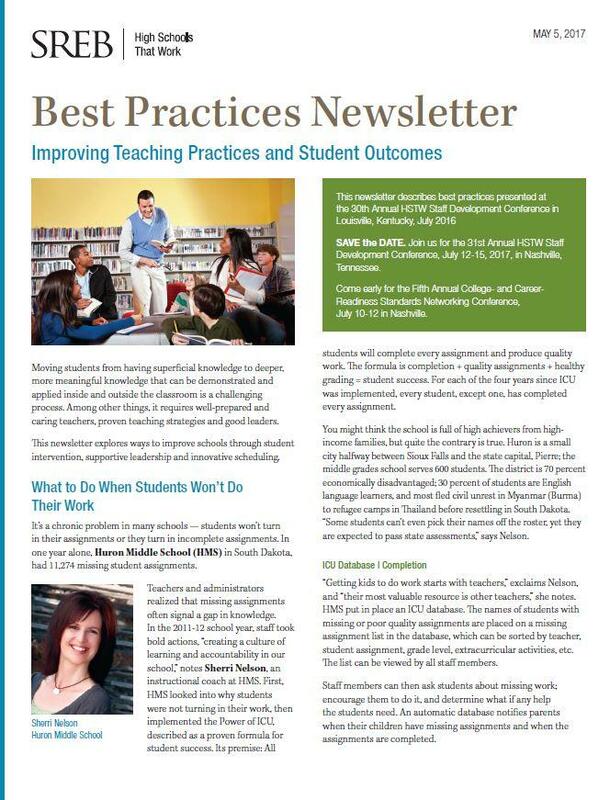 As you read these newsletters and share them with staff members, consider ways in which these practices could be implemented in your school to improve student achievement and school and classroom practices. Each article contains the name and email address of a contact person should you desire further information about a given practice. 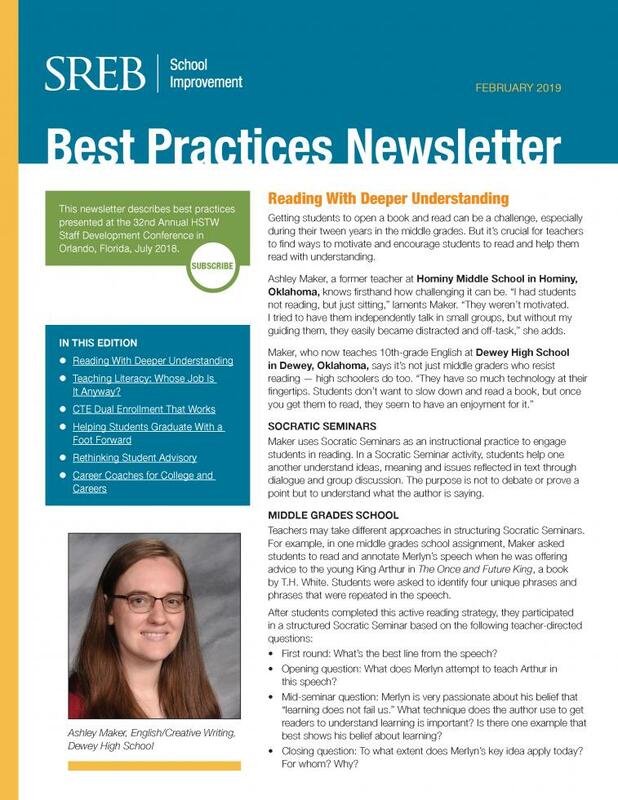 Read this newsletter to explore promising literacy practices, dual enrollment and advisory strategies to prepare students better for college and careers. 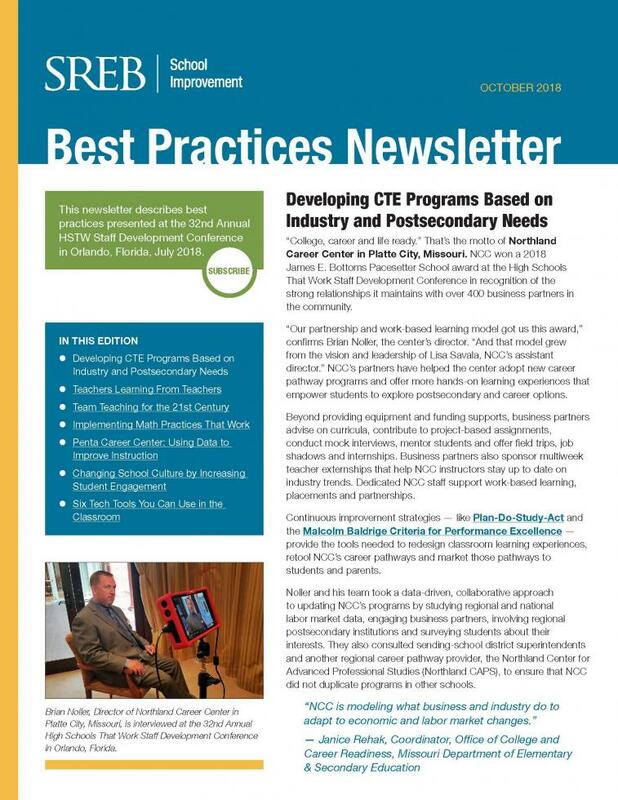 This newsletter examines an array of topics including CTE career pathways, teacher and administrator instructional rounds, and increasing rigor in the math classroom. 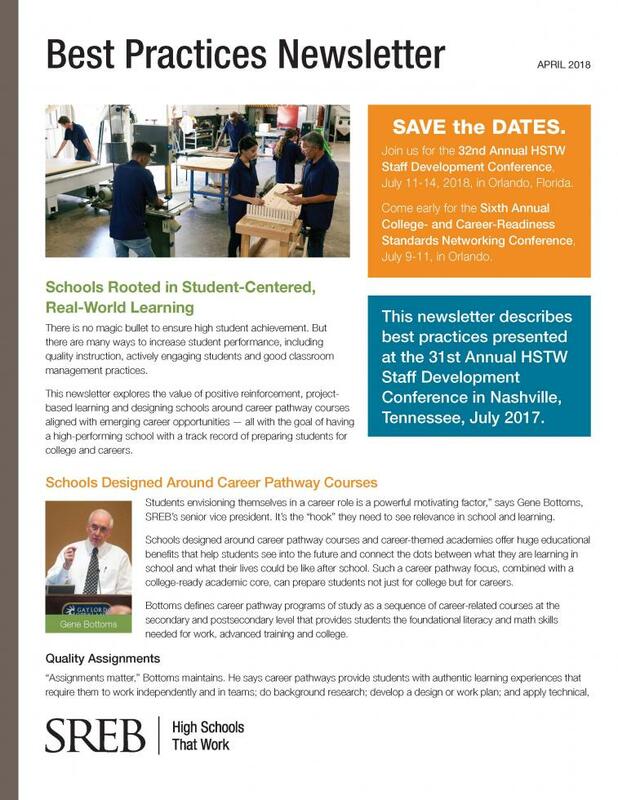 This newsletter explores the value of positive reinforcement, project-based learning and designing schools around career pathway courses aligned with emerging career opportunities. 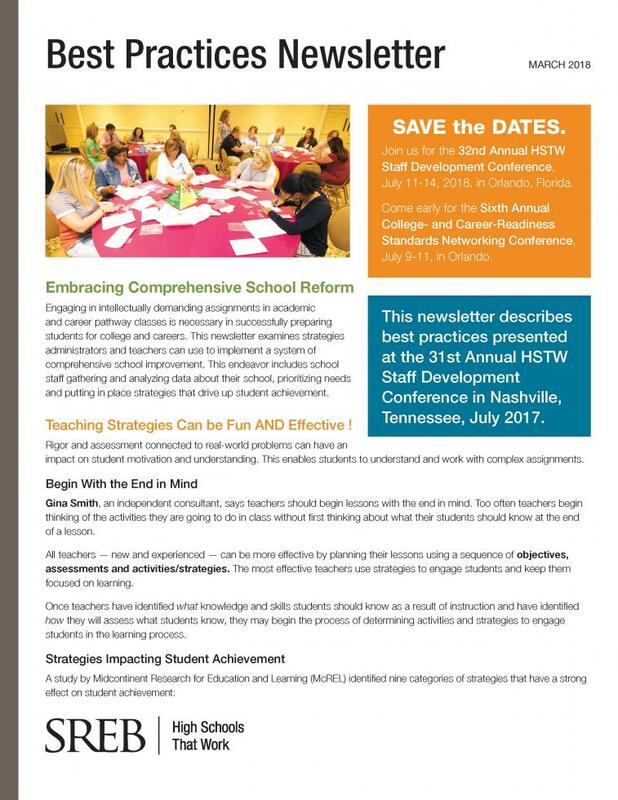 This newsletter examines strategies that administrators and teachers can use to implement a system of comprehensive school improvement and reform. 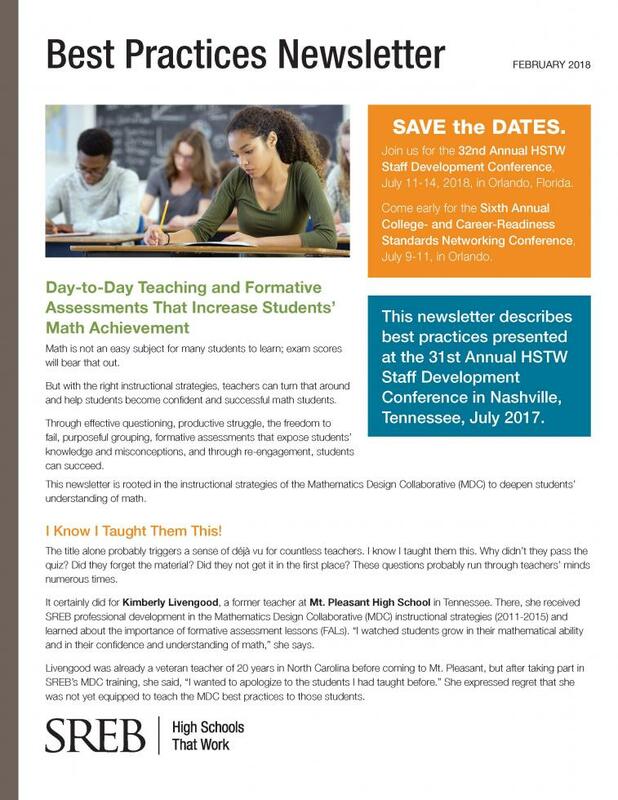 In this newsletter, teachers share how using the tools and strategies of the Mathematics Design Collaborative and formative assessment lessons can increase student engagement and achievement. 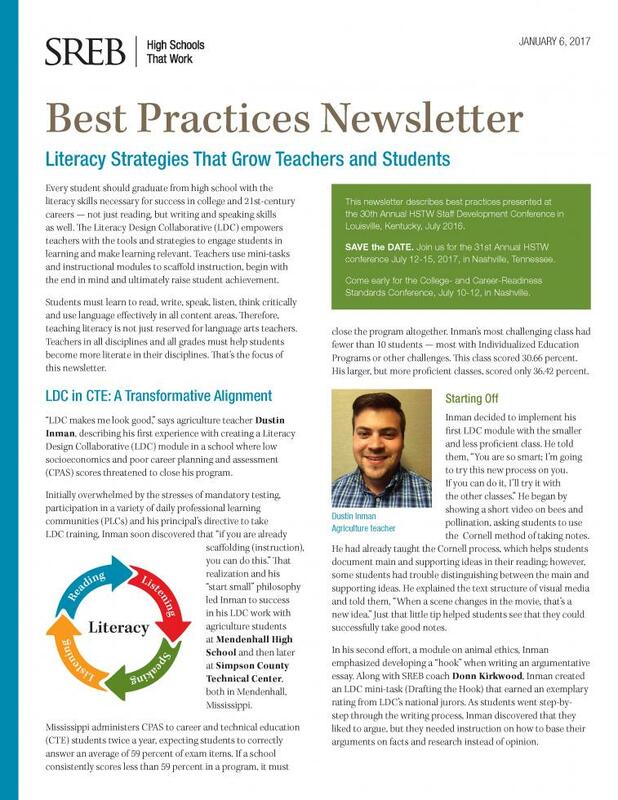 This newsletter explores the importance of challenging literacy-based assignments in all disciplines in preparing students for college and careers. This newsletter looks at ways to improve schools through student intervention, supportive leadership and innovative scheduling. 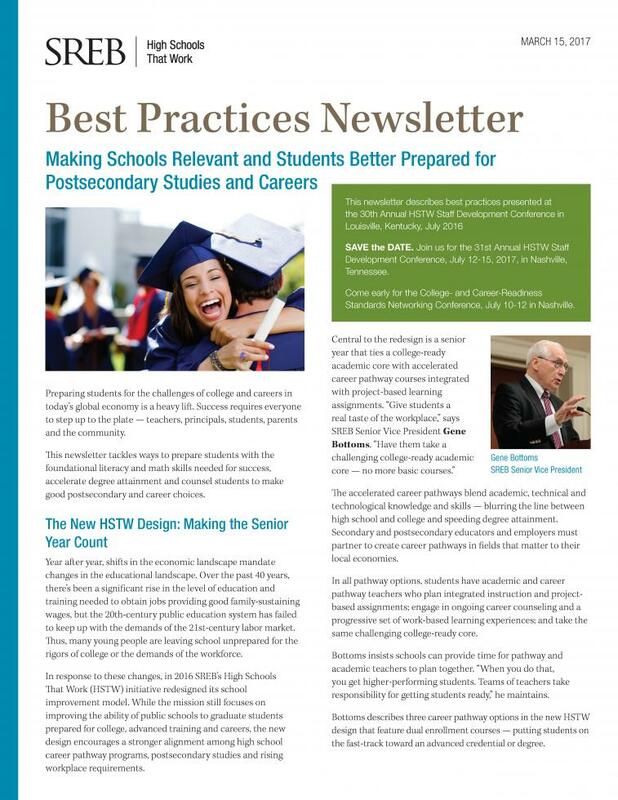 This newsletter explores ways to prepare students with the foundational literacy and math skills needed in postsecondary studies and the workplace. It also highlights the significance of schools having an effective guidance system that prepares students for college and helps them discover their interests, aptitudes and compatible career choices. 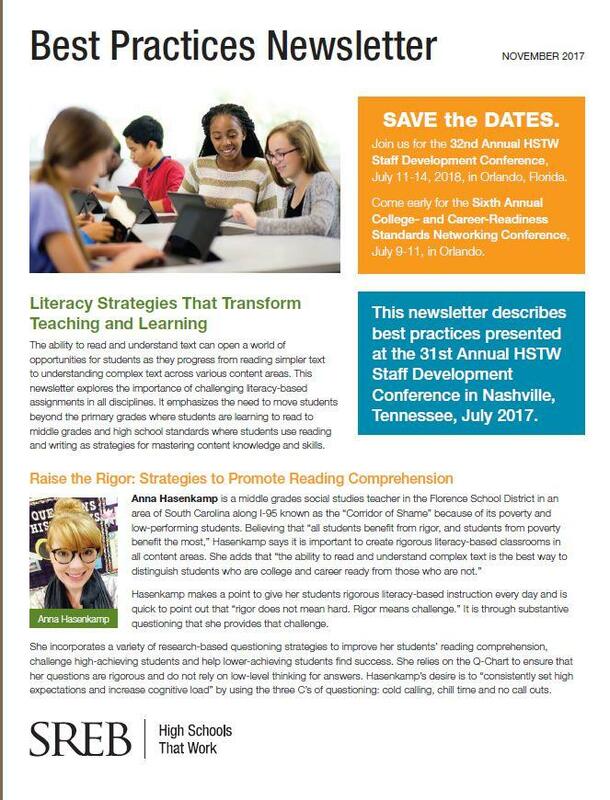 This newsletter stresses the importance of teaching literacy across disciplines to prepare students for the rigors of college and careers. 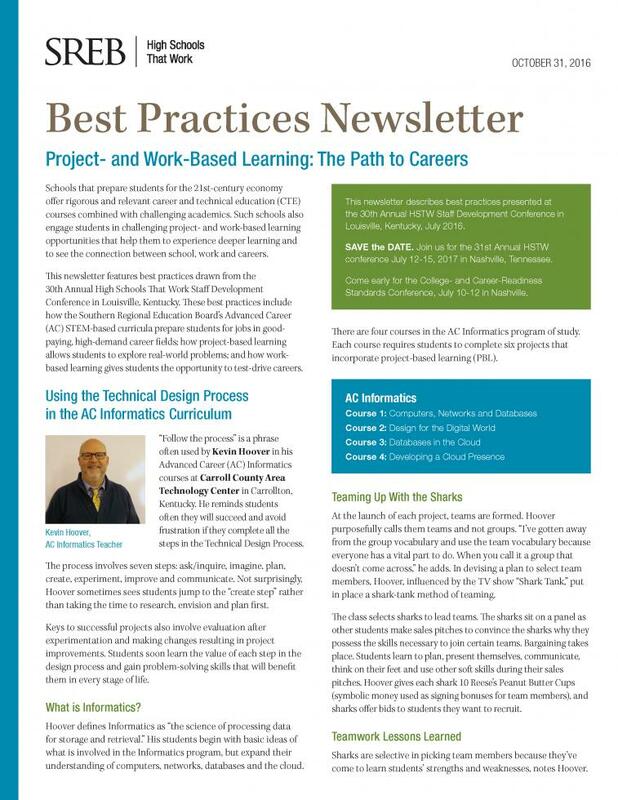 This newsletter describes how SREB’s Advanced Career curricula and project- and work-based learning can help create authentic learning experiences for students that allow them to test-drive careers. 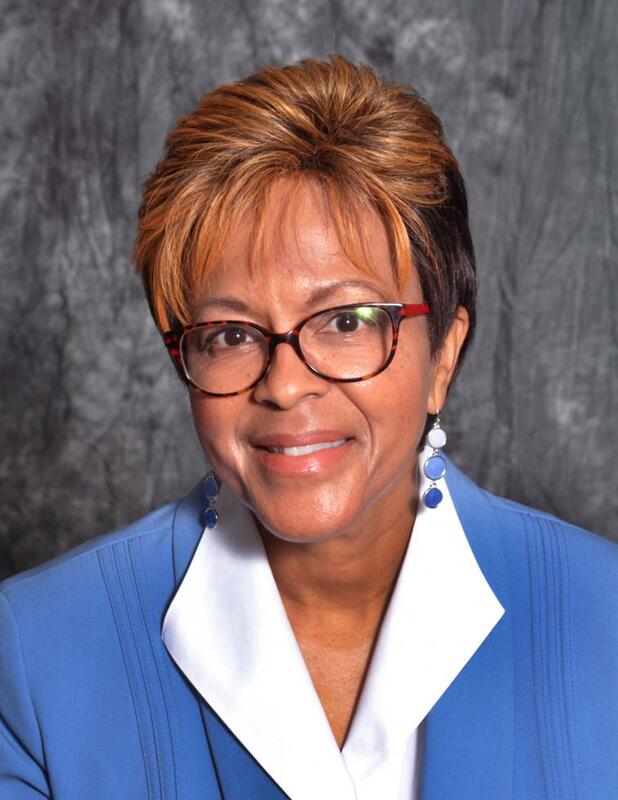 Diane James joined the Southern Regional Education Board in 2012 and brings more than 20 years of experience in journalism and education. Diane is responsible for editing publications, case studies, research briefs and brochures, and writing and editing newsletters that are provided to local and national education policymakers, principals and teachers. Prior to SREB, Diane was a writer and editor for CNN. She has held other reporting and writing positions in radio, television and print.